Heritage Training and Shooting Center has teamed up with some of the biggest names in the Firearm Industry to provide you with an unparalleled level of readiness. Heritage now offers courses developed by the United States Concealed Carry Association(USCCA). The USCCA is a membership organization that provides education, training and insurance backed Self-Defense Shield to responsibility armed citizens like you. USCCA offers multiple levels of Self-Defense Shield Protection to provide you with a complete peace of mind. Click the banner to the right for more information on USCCA Insurance Benefits. The seven lessons below have been developed by the USCCA and the Heritage Training Team to elevate your personal defense knowledge and skills. Each lesson has unique objectives to assist you in developing a comprehensive personal protection plan. 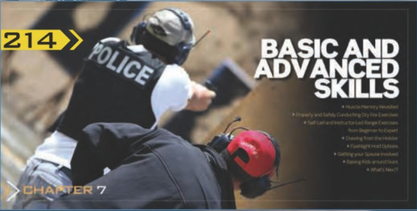 Upon completion of all 7 lessons, participants will receive three separate USCCA certificate's of completion in the following disciplines: Basic Handgun, Home Defense, and Concealed Carry. All students will receive a free copy of USCCA's "Concealed Carry and Home Defense Fundamentals" textbook in Lesson 1: Developing a Personal & Home Protection Plan. The material in this textbook will be referenced in each of the 7 lessons. Developing a personal and home protection plan is a key component of not only preparing for how we should (or might) react if confronted by a violent crime but also how we might avoid a violent crime in the first place. In this course, you will discover that developing a protection plan is about much more than becoming proficient with a firearm or writing up a home invasion plan. You will learn how to make a plan that encompasses awareness, avoidance, and preparation so that you are less likely to find yourself in a situation where you have no other option than to use your firearm. You will learn how to incorporate situational awareness into your daily activities and lifestyle in order to avoid, deter and delay a possible attack. We will discuss why ‘conflict avoidance’ is so important and why ‘seconds count’. In addition, you will learn how to use a ‘home security checklist’ for your home and learn ideas to make your home more secure. 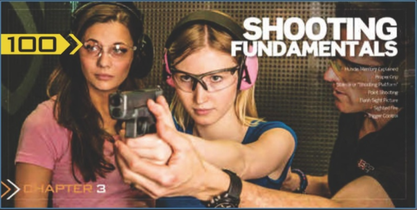 Self Defense Firearms Basics expands upon the information that is presented in Heritage’s Basic Handgun, Revolver, Shotgun and Rifle classes. During this course, you will have ample time to handle many different types of firearms and discuss their features so that you may make an informed decision about your personal defense needs. This training will be conducted through a combination of lecture, demonstration, hands-on experience with differing firearm types and a live fire familiarization. Heritage will provide the firearm and ammunition for this course. Participants will acquire the knowledge required to choose a self-defense firearm for his or her defensive needs. Participants will learn the proper way to load and unload many types of handguns, shotguns, and rifles. Participants will identify firearm malfunctions and learn basic techniques for clearing them. At the conclusion of the class, each participant will understand the different types of personal defense ammunition and their characteristics including caliber, knockdown power, and stopping power. Participants will shoot rifles, shotguns, and various handguns in a live fire exercise on the range. During this firearm course, we will continually differentiate between the skills required for ‘defensive shooting’ and the skills required for being a good ‘marksman’ on the range. Unlike relaxed exercises on the range with paper targets at 50 feet, dynamic critical incidents are usually fast and they are usually close with nearly 90% occurring between 9 and 15 feet. In addition, when we are under the extreme stress of a violent attack, our higher brain will very likely check out, and to one degree or another, an automated response will take over. In this course, you will learn how to master the correct ‘building blocks’ and shooting fundamentals in order to turn correct and consistent practice into ‘muscle memory’. In the classroom, we will spend some time perfecting your grip, stance, trigger control and teach you how to ‘defensively’ draw from the holster. You will learn the difference between ‘point shooting’ vs ‘precision shooting’ and how to use a ‘flash sight picture’. We practice these skills in our state of the art Simulation Lab before heading to the range for live fire. 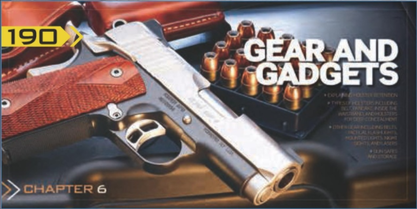 Heritage will provide the firearm, ammunition, and holster for this course. You are responsible and accountable for every action you take. 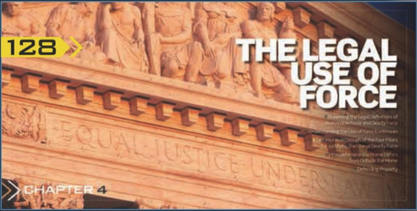 The United States Concealed Carry Association Legal Use of Force Class is designed to inform individuals of the challenges faced when confronted with the decisions of having to use legal force in self-defense situations. This scenario packed class will push individuals to think critically in order to overcome the legal challenges that may present themselves in the dynamic environment that we live in. 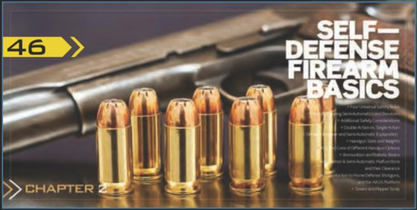 Topics covered in the class include the presentation of material designed to inform students on the differences between reasonable and deadly force, challenges in use of force continuum, and the courts perspective in the matter. This class is not tailored towards any specific state but provides a general overview of legal issues that are developed in order to protect students with challenges they may face, no matter the destination. In Lesson 5 we talk about what to expect when you, despite your best efforts, are forced to take action to defend yourself. This class will also take you through the process, step by step, of what to do and say after the encounter is over. 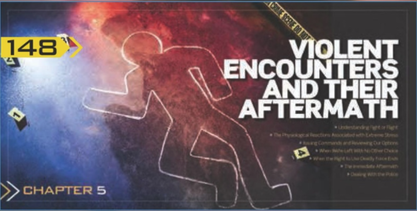 You will experience a scenario that will cause you to think of just how you will handle the aftermath of a defensive shooting encounter. USCCA Instructors will leave you with a framework and a plan so that you are better prepared to face a defensive situation mentally, legally, and financially. Each participant will understand the “Fight or Flight” response and physiological reactions associated with extreme stress. Each participant will understand the proper response to an identified threat. All participants will understand when the right to deadly force ends. At the conclusion of the class, each participant will have the knowledge and skills to communicate effectively with law enforcement in the aftermath of a situation. Firearm accessories can be a bit overwhelming the first time you walk into any gun shop. Let Heritage help guide you through some options before you go shopping. In this class, participants will go hands-on with different types of holster for different situations. Learn about different types of flashlights, gun attachment lights, and their purpose. And before you head to the range learn about range essentials that should be in every range bag. This hands-on class will allow you to demo many products and have you leave with a better understanding of modern day firearm gear and gadgets. The culmination of all USCCA classes where we can learn a few new skills and put others to the test. Part One: In this final course we will learn how to dry fire practice and how it keeps our skills sharp and how it can help advance our skillset. Learn new ways to practice on the range with yourself or a friends help. Low light shooting will be taught and shot through a proficiency course on the range, a skill imperative for any defensive shooter. Part Two: Barrier shooting will force participants to reload from cover and hone their skills shooting with one hand. At the end of part two, all participants will shoot a final proficiency which tests the skills learned through USCCA training. Participant must bring a firearm(semi-automatic or revolver, OWB holster, and 100 rounds of ammunition. Students will gain knowledge on Dry fire drills for home use. Students will learn how hone defensive skills with an understanding of new Range Drills. Students will learn techniques for low light shooting and experience low light shooting on the range. Students will learn the importance of barrier shooting and the difference between cover and concealment. Students will learn techniques for one-handed shooting and put this new skill to test on the range. Finally, Students will shoot a culmination proficiency under the guidance of a USCCA instructor. 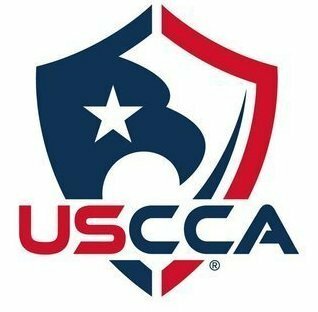 The USCCA (United States Concealed Carry Association) is a membership organization that provides education, training and in our opinion the best self-defense insurance to responsibly armed Americans. USCCA members gain peace-of-mind and complete protection with legal defense and financial support.